There are lots of cool, new apple varieties to try so why do I like this one? 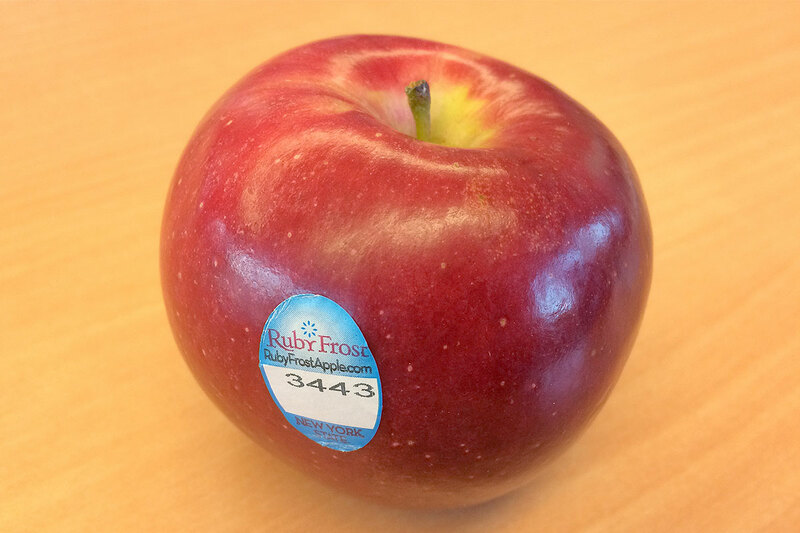 Ruby Frost Apples, available during January and February, have a crisp and juicy texture that’s not overly dense. The flavor is both sweet and tart like many of the other new premium snacking varieties, quite good, though not what I would call intense. But what makes the Ruby Frost different was that it has a “fresh” eastern Apple taste that reminded me just a little of Cortland and McIntosh with similarly slightly thicker skin. Speaking of skin, they do really have a deep red shine to the skin and a mostly round shape. 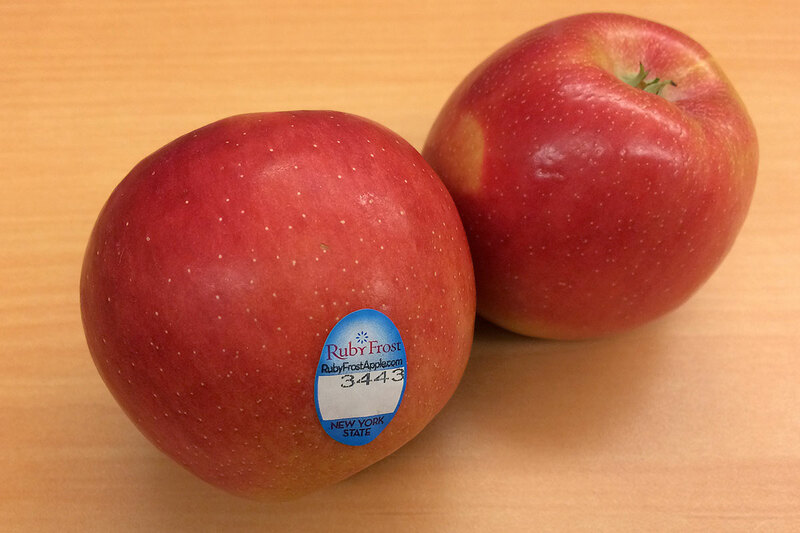 Ruby Frost Apples were developed by Cornell University and have Braeburn and Autumn Crisp parentage. The apples are grown at family orchards across New York State, and the harvest from late fall is sold as a limited release in January. 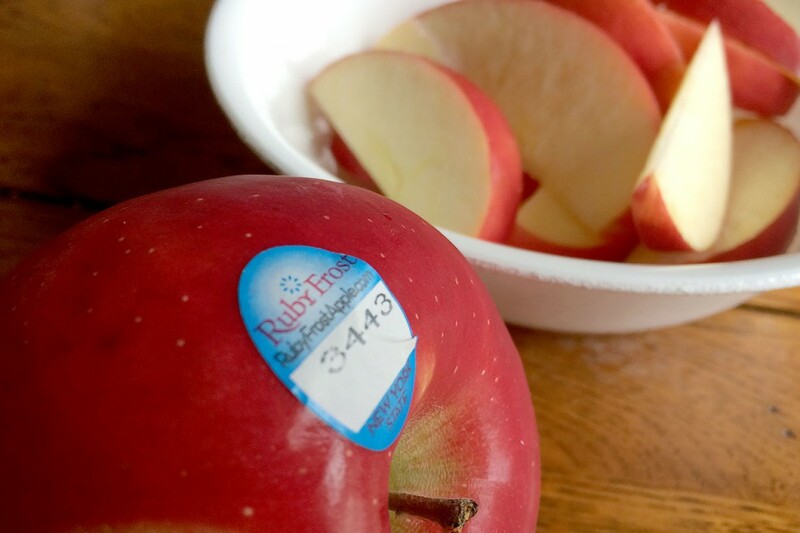 TASTE TEST: Ruby Frost Apples! 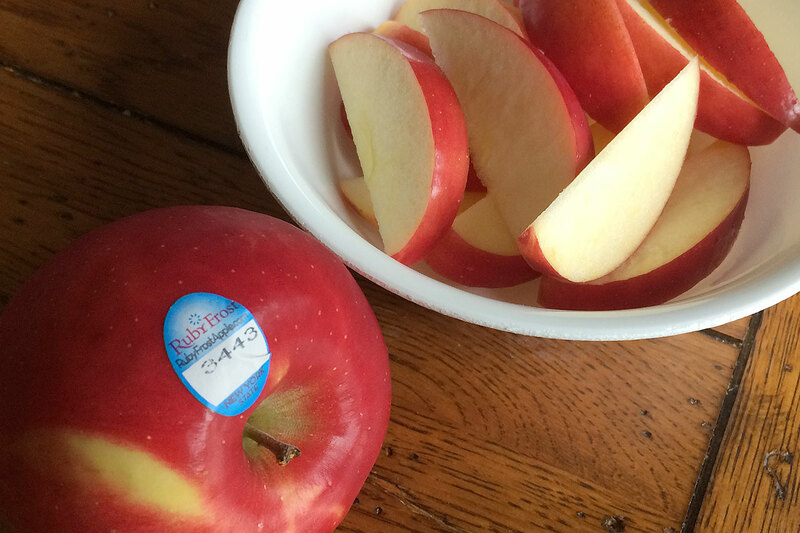 This is an apple that is ideal for snacking. The flesh is naturally slow to brown once cut thanks to high levels of Vitamin C. Ruby Frost Apples also work well in recipes – think apple crisp, baked apples and salads.